Officially, China has maintained quasi capital controls for years: on paper no individual is allowed to move more than $50,000 out of the country in any given year while Chinese companies can exchange yuan for foreign currencies only for approved purposes. Unofficially, China's capital controls had been skirted for years, leading to massive capital outflow from the nation over the past decade, leading to such aberrations as massive luxury housing bubbles in places such as Vancouver, London, New York and San Francisco, and seemingly middle-class Chinese politicians and oligarchs sporting Swiss bank accounts funded in the hundreds of millions (or billions). In fact, as we detailed in 2017, Beijing has an interesting way of dealing with capital outflows. While they closely monitor many methods, they don’t actively pursue shutting them down. They often watch from afar, and if capital reserves aren’t impacted, or their reputation isn’t damaged, they allow them to continue. The PBoC announced in 2017 they were going to deploy a massive anti-money laundering framework, designed to further halt capital outflows. As we said at the time, we’ll have to see if they were serious, or if this was just to win reputation points with international countries. It is that capital outflow probably accelerated significantly last month. 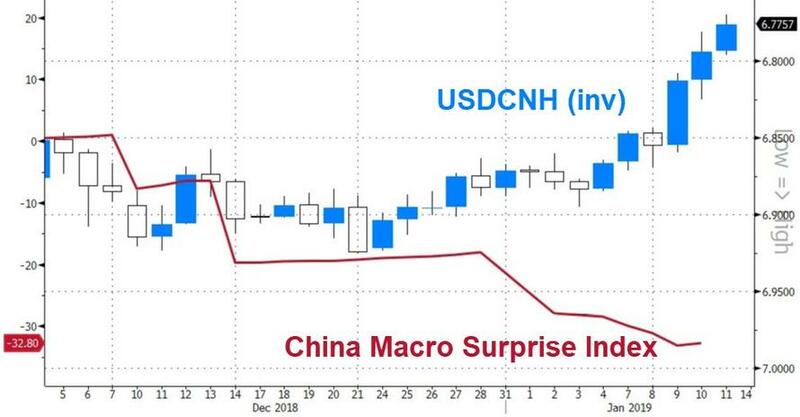 It's a reminder of why the PBOC would probably be reluctant to let the yuan decline significantly. That would encourage even further outflows and risk a vicious circle. While China's total imports fell 7.6% in dollar terms from a year earlier, its purchases from Hong Kong surged 106%. 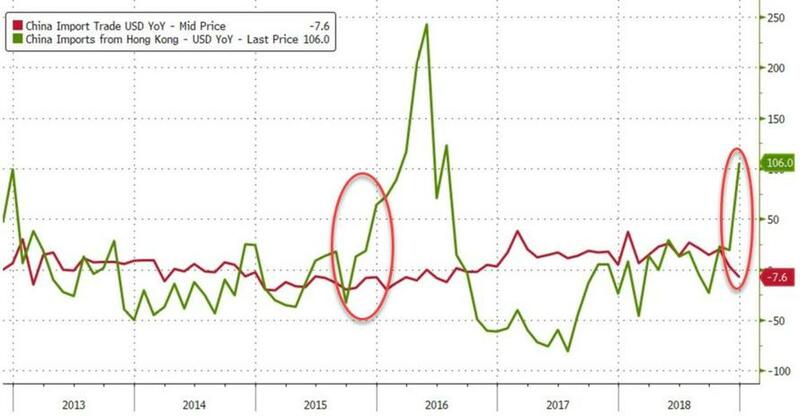 Critically, Elsa Lignos, global head of FX Strategy at RBC in London, notes that this outlier resembles the jump in 2015-2016 when mainland companies used inflated invoices to take money out of the country. 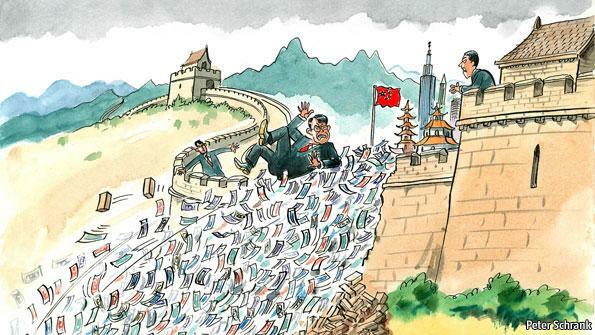 The logistics of the over-invoicing scam are extraordinarily simple - Mainland Chinese will 'overpay' for goods or services delivered from a Hong Kong merchant with a pre-agreement that the Hong Kong-based 'exporter' will - for a fee - allow the mainland Chinese 'importer' to have access to his cash but now outside of China's government-imposed firewall controlling capital flight. 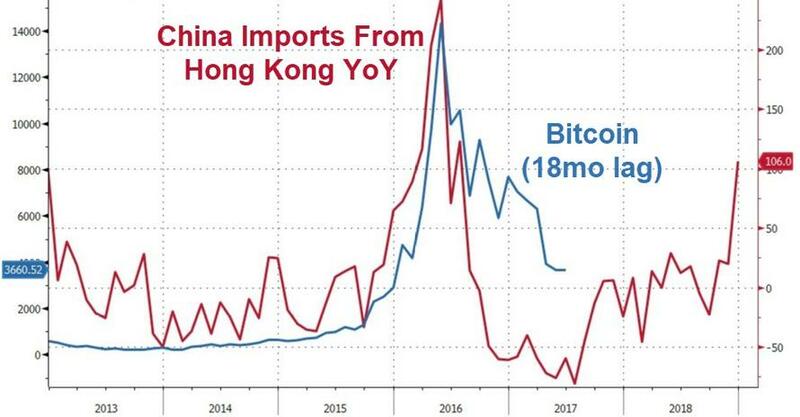 While some have argued that Bitcoin is not the most efficient method of funds transfer or storage once the mainland Chinese cash has reached Hong Kong (claiming hot money brokers reportedly cheaper), we suspect the ease of use may well mean the cryptocurrency sphere is facing an 18-month period of excess demand from Chinese capital desperate for its freedom. The truth is that it is one viral capital outflow report away from an outright scramble to enforce the most draconian capital controls in its history, which - as every Cypriot and Greek knows by now - is a self-defeating exercise and assures an ever accelerating decline in the currency, which authorities are trying to both keep stable while also devaluing at a pace of their choosing. Said pace never quite works out.